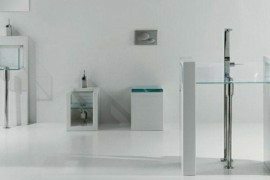 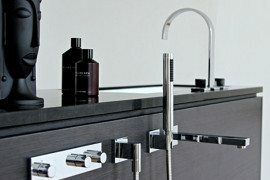 Ypsilon have launched this beautiful furniture suite that turn the bathroom into a stylish space for sophisticated bathing and even relaxation. 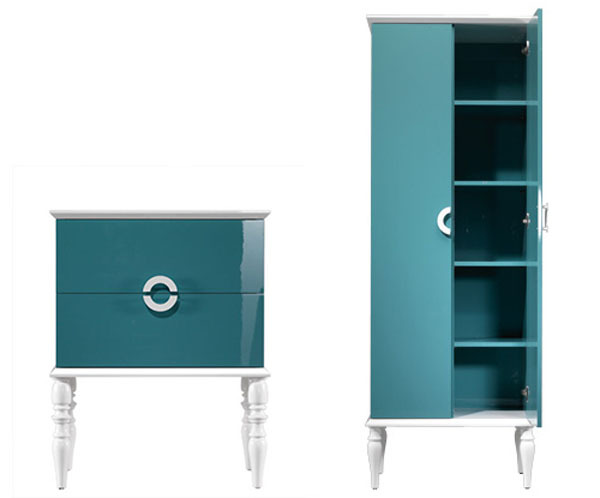 The Doll collection features sleek surfaces, in vibrant and feminine blue, appropriate for the space. 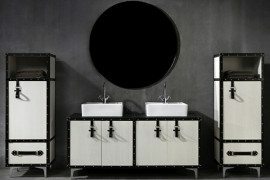 The furniture pieces include drawers, cabinets and a closet, with sliding doors with classic white countertops and Biedermeyer-inspired legs. 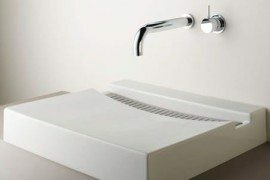 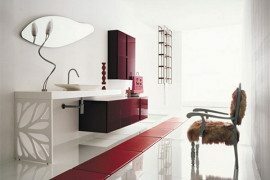 The fixtures also combine traditional and contemporary styles, with fluid classic faucets and minimal washing basins. 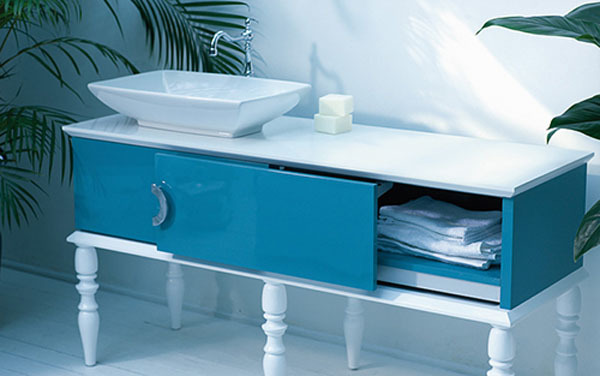 By definition feminine and aquatic-inspired, this authentic and elegant ‘doll house’- like bathroom furniture suite adds timeless design and a boudoir/powder room feel to the bathroom.